Great video of what a stall is. Notice how the strings reverse direction as it stalls. This is known as flow reversal, and it's actually what's happening when you stall a wing. 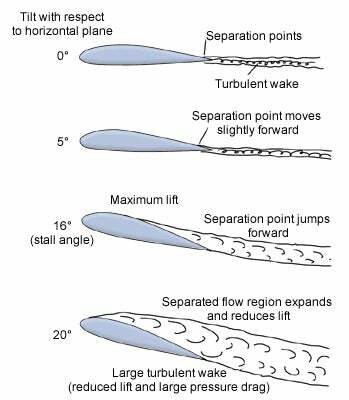 The airflow is no long attached to the surface of the wing, instead it has separated and created vortices that cause this reversal of airflow on the top surface of the wing. I have a raging brainer right now...it's so cool to actually see the theory presented in a clear, real life application.